Availability: This product is discontinued and no longer available for purchase. For alternatives browse our New Balance department. The New Balance womens NBx Adapter short sleeve top features X-Static® fibers, which are bonded to a genuine silver ensuring odour reduction, keep away static, and regulate heat. Welded seams reduce the top’s weight, streamline the shape and prevent chafing. The top is available with hi-viz accents ensuring added safety and visibility. X-Static Pindot Mesh: 95% Polyester, 5% X-Static Silver Nylon Yarn. 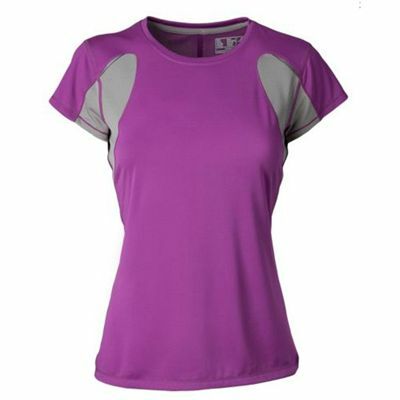 for submitting product review about New Balance Womens NBx Adapter Short Sleeve Top.